Thread: (AS2) Flash to read\listen to serial port? that's fine, its just going to be a command you have to run in terminal to start the perl service, its the same cross domain policy, also with that file path you are giving me, you are not on the root desktop. Actually I have never logged into my RPi like that before.. I'm not clear on what this is doing again? * I'd prefer NOT to have things on my desktop... but in the WAMP (LAMP) directory with all my other website assets. * I tried to make a copy of the only the .swf and .html files on the desktop as a last ditch effort last night... (didnt work)..
when you mount it on your arduino uno it will broadcast a wifi, goto webpage: 192.168.4.1 you see it will give you a page to setup wifi name, password and socket port, default socket port 9000.
now when you mount the esp it will send anything you Serial.println() through the wifi. when finished, connect rpi to your esp13 wifi and your swf can connect to 192.168.4.1:9000 to communicate with it, the connections pretty perfect. Only thing is the esp13 takes all the arduino uno pins but its only really using +,-,tx,rx pins, you can still use the other pins but you need to get your wires to the pins you want while being inbetween the boards. Last edited by Alloy Bacon; 02-07-2019 at 01:10 AM. Last edited by Alloy Bacon; 02-07-2019 at 01:18 AM. Although I get and like your solution, I was hoping to just use the UNO (or whatever), the RPi and the Flash app. I wonder what settings you have different that allowed it to work for you (before crashing).. How did you know it worked? Were you getting incoming serial data sent from the Arduino in your Flash app/stage? yes I got data from perl>flash only when adding file:///var/www/html/index.swf to global settings on rp. do the ser2net tutorial,not the socat one on the lower part of the page... same global security,ttyUSB0 on config and test on putty and flash, use 9600 not 115200 on config line. Last edited by Alloy Bacon; 02-07-2019 at 01:51 AM. I'm going to try it again though. Does your pearl approach/solution take the place of this crossdomain security policy file stuff? Last edited by whispers; 02-07-2019 at 01:43 AM. It auto loads Chromium upon boot.... and loads localhost currently..
Anyways... I refresh the webpage.. and eventually the .swf displays NOT CONNECTED still..
yeah, you don't need crossdomain, just put in global security the path like this: file:///var/www/html/index.swf and my random non-policy perl server was able to give it data to be seen in the local swf, next if socat/ser2net solutions wont work best solutions the wifi method, socat worked good on my orangepi, a better understanding of perl would have helped for a wired connection. to the global security page... it didnt make a difference.. It eventually timed out and never connected. Last edited by Alloy Bacon; 02-07-2019 at 12:24 PM. But is that to (sorta) create our own 'policy server'? Hard to believe there is no other way.. what did people do before the ESP's? Hell at this point.. I'm willing to pay someone a little cash to solve this security policy thing! LOL.. (without an ESP module...just like our initial approach)..
it totally killing the rest of the project if this step doesnt work! Anyways.. thanks for the help given so far! 1. download perl server https://rpguy.weebly.com/uploads/2/0...550/server.rar and unzip it. 5. 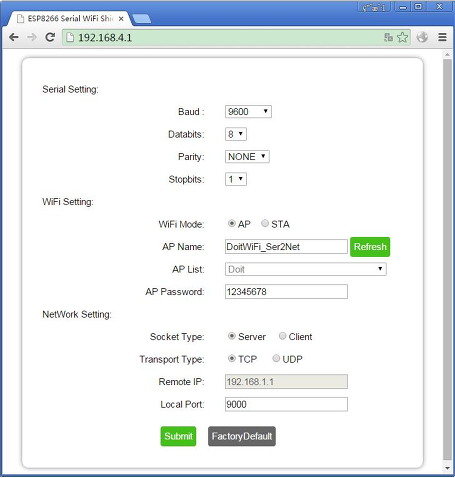 It will open port 45055, now try your swf connect to 45055 and it wont connect. since you are going to use wifi method that means you cant use Ethernet port anymore, but there are tutorials to use Ethernet and wifi for rp at same time if you look it up. Last edited by Alloy Bacon; 02-09-2019 at 06:44 PM. I'm not sure that is going to be an acceptable solution however.. (using another board).. I am using an UNO right now, .. but in the end project that will be a Pro-Mini... (and even that was pushing it for more space beyond the RPi and the 3.5-5in HMDI display..
No more room, physically, and more boards/stuff to deal with. I'm already starting to get a it overwhelmed with this security stuff.. and I have only done less than a handful of RPi project.. I mainly do Arduino based stuff.. I still need to research on how to get that SOCAT line to run at boot time automatically... (in the end there will be access to the project/hardware/software.. it just needs to power on and 'work').. I do appreciate the SOCAT tip though.. (seems similar to using minicomm, but that never worked for me).. I mean APACHE 'is' a server of sorts... cant it be configured to dish out this security policy file? One thing I dont understand if why doesnt the local call work? From the Security.loadPolicyFile() action? Flash Player also checks policy files every time the developer specifies a Security.loadPolicyFile() command within the code. Flash Player does not check for socket policy files for normal HTTP or HTTPS connections through the browser. Socket policy files apply only when the developer initiates a raw Socket or XMLSocket connection in ActionScript. I don't think it will work for local (you can try), but it definitely helps for remote server, now instead of auto requesting from 843 it chooses 45055 to get the policy. with null byte ending you should remove during parsing. Last edited by Alloy Bacon; 02-09-2019 at 10:07 PM. You're saying its working for you, using your ESP13 approach? but wont work for my LOCALHOST (no additional ESP13 board) setup? but I am just getting more and more confused.. as I want to stick with my current approach first, until it can be 100% completely ruled out. It would be so much better if we were testing the same things here.. do you have LAMP installed on your RPi? Being so new to this sever/security policy stuff.. its hard for me to understand what parts apply to MY project. so to swing this back around for what applies to MY code/project/requests..
Should be tried using.. what exactly? The port needs to be something that is prepared to respond with this security policy nonsense..
but this still wont solve or give any response. Perhaps this needs to be in a different directory in the LAMP install somewhere? Also.. what are your thoughts on having a self signed certificate? So I can deliver the page as HTTPS? Then maybe less issues? * I do not know to install a self-signed certificate.. but I'm sure I can find some steps on how to it..
** just not sure if that would help at all? I have seen HTTPS mentioned in many threads on this topic..
Well I gave the best instruction I could to get it running, and it worked for me on rp, I would just reread the last 3 pages and follow it slowly, im not a good teacher but I just list it and if you can follow that's the best I can do... maybe sometime in this few months if I have time I will screen record on my rp and you just follow along the video, but I would take my esp13 soon or listing will end, Ill send your dollar through paypal back after you buy it. Dont get me wrong.. I 100% appreciate your efforts here..
You have already taught many new things.. I am just not ready to pursue a solution that needs its own 'hardware server' (ie: ESP13 or any ESP board for that matter) ...... YET! How did they do this in the past (using Flash XMLSocket.connect() in off-line applications or local host applications when Flash was still a relative web solution years ago? Kiosks at malls, games, readers/scanners that interacted with Flash apps?